Restore definition, correct asymmetry, enhance volume, and create a natural, youthful appearance to your lips with dermal filler lip enhancement! Whether you want to restore the full, defined lips you once had, or, you’re looking to finally have the lips you’ve always dreamed of, the answer is a dermal filler lip enhancement. 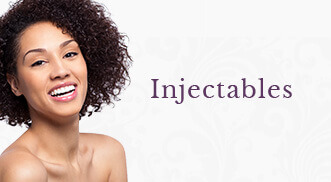 Our injectors use a wide array of options, such as Volbella®, Juvederm® and Vollure®, to ensure you get the perfect outcome that is appropriate for your face shape and provides the most natural looking results! As we age, we may note several changes in our lips. Definition along the border of the lip may soften and give the appearance that the upper lip as fallen. The corners of our lips may start to sag and turn downward. In addition, we may lose volume and the lips may appear flattened and almost disappear. Dermal fillers can be used to correct ALL of these concerns and provide an incredibly natural looking outcome. Most of the dermal fillers we use in lips are called HA’s, or hyaluronic acid based fillers. They are softer fillers that attract water to the surrounding tissue, therefore creating a more “plumped” appearance. 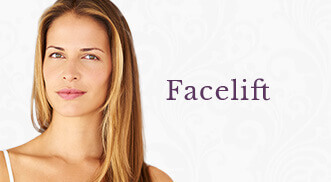 Depending on the filler used, results may last anywhere from 12 to 18 months. Because your lips, and the aesthetic you wish for them to have, is as unique as You are, our injectors spend an extended amount of time during your consultation to ensure that you receive the outcome you desire. Do not let some of the lip enhancements you see in celebrity gossip magazines scare you away, we pride ourselves in delivering results that look natural and are appropriate to your facial features! One aspect that makes our lip enhancements unique at our clinics is that our Physicians and Injection Specialists implement the use of blunt-tipped micro-cannulas. This is an advanced and specialized injection technique that allows for less injections and decreases the chance of bruising. Many of our patients find this technique more comfortable as well. During your initial consultation, your injector may also discuss using small amounts of BOTOX® during your lip enhancement. This may improve your outcome in several ways. For example, BOTOX® may be used to further turn up the corners of your lips, decrease a gummy smile, or even create a soft “flip of the upper” lip to show more surface area. These options will be discussed prior to treatment if they are appropriate to you and your desired outcome. As with all of our procedures, every measure is taken to keep you comfortable during your treatment. Your provider may use topical numbing cream before your treatment to minimize sensation. In addition, all of the dermal fillers we use have lidocaine within the product to keep you comfortable during the treatment. Your provider may also incorporate ice during your lip enhancement to further maximize comfort. Immediately following your lip enhancement, your lips will be slightly swollen. In addition, they may feel tender and even slightly bumpy in some areas. This is completely normal and these symptoms often subside within 48-72 hours. Your injectors may advise you to lightly massage certain areas of your lips at home and ice. Ibuprofen or aspirin may be recommended to manage any discomfort, but is seldom needed. It is important to discuss your social schedule and any upcoming events with your injector to properly time this treatment and ensure you look your best for your event! Most patients schedule their lip enhancement on an annual basis to keep their results looking fresh and consistent throughout the year. The treatment is easily scheduled along with your quarterly BOTOX® treatments! While lip enhancement is a wonderful solution for someone looking to improve the appearance of their lips, the outcome is greatly dependent upon the experience and skill of your injector. It is important to make sure the person providing your treatment has been properly trained to ensure you get results that are natural looking. Our practice is honored to be a Black Diamond account with Allergan, and is also in the top 1% of all practices which offer BOTOX® and Allergan Fillers in the United States. *Save on Volbella, Vollure, Juvederm and more by registering for the Brilliant Distinctions Rewards Program! Save even more by joining MRewards! Those who simply want fuller lips! Are you interested in learning more about Eagan and Woodbury Lip Injections?